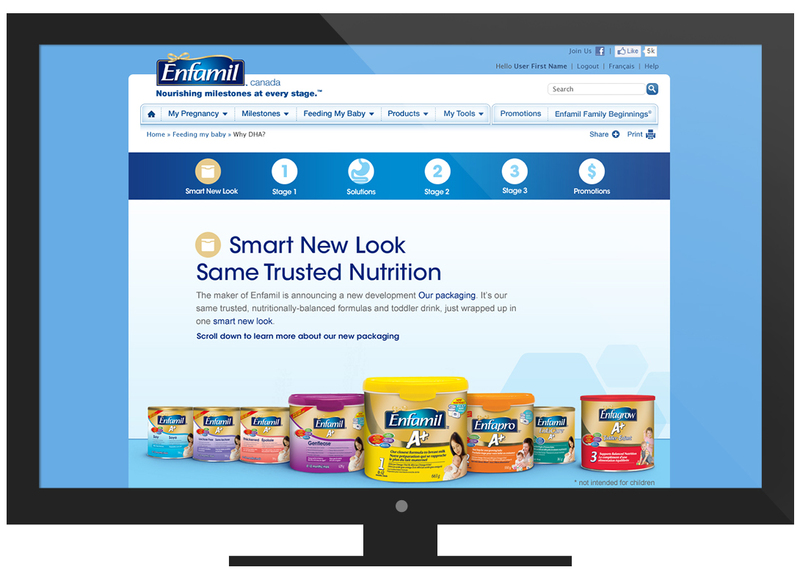 Enfamil, a leader on infants, babies and Toddlers formulas. 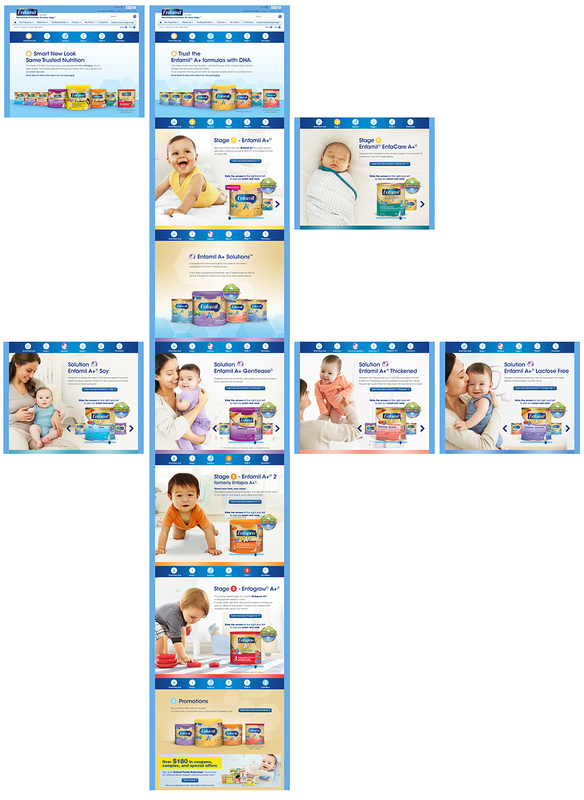 To launch the new brand identity and packaging, BAMSTRATEGY developped a parallax page to help parents. We presented the old and the new packaging for all the products. 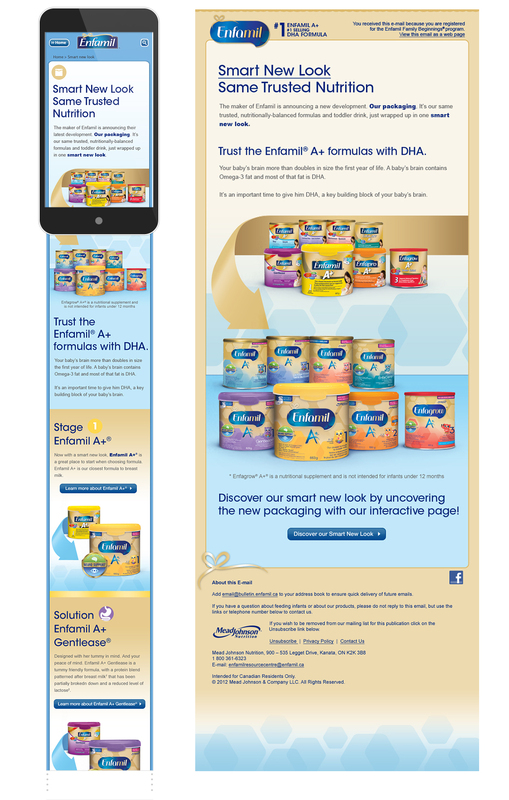 By an interactive way, the user can slide the old product to reveal the new one.